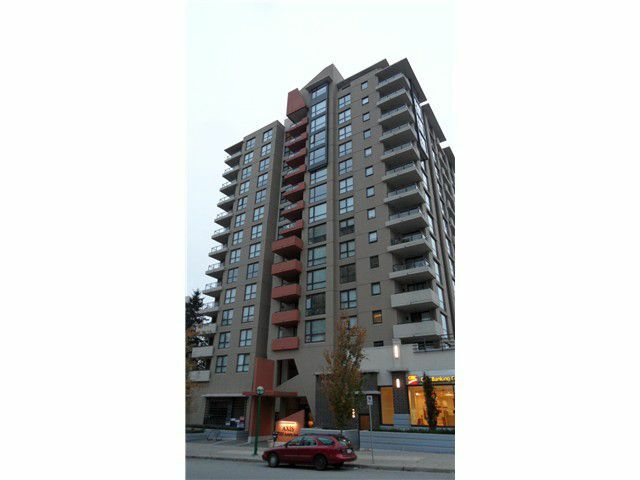 SHARP PRICED two bedroom, two full bathroom upgraded suite with two parking stalls in an almost new building! Great view with granite, engineered hardwood and laminate, tile and new $3,500 washer and dryer! This well laid out floorplan hasmany extra's in one of the most convenient area's around with shopping across the street and the skytrain only a few blocks away! Upgrades galore with attention to detail with even granite on the window ledges! Large foyer entrance greets you along with tons of natural sunlight through all the many windows. Lots of storage, a large master tub and phenomenal maintenance fees for today's standards make this one you want to see! Come by and view this beautiful home!